The rising to the top band 'Sorry We're Late' has a new record label. Rise Records. Sleeping with Sirens also has the record label. The lead singer, Summer James Parker, has a past that everyone knows about... except for her. She doesn't realize that her forgotten past is a problem until she meets Kellin Quinn. She also happens to meet him during Warped Tour 2012, the tour she's been waiting a life time for. Is she going to let someone she thinks she doesn't know ruin this tour for her? Or, is she going to let him ruin it as punishment. And what happened in her past? Well, that's for Sleeping with Sirens to know and for you, and her, to find out. Chapter 5. Hello Thurman, It's Your First Year At Warped! Chapter 27. How Many Times Did You...? Chapter 33. Without The "Bethany"
Everybody knows that girl. The one thats picked on by the big bullies and nobody stands up for her because they're scared to get in the way. You've heard stories from the bullies point of view, but what about the poor girl? The year is 2011. Abigail (or Abbie) is in her last year of high school. She's been bullied all her life. She's 19 years old and due to the bullies she skipped many classes in her school life, meaning she now has to repeat her final year of school to re-take all of her classes and do her exams with people younger than her. Her previous bullies left school the year she was supposed to graduate, she thought everything would be better without them. Little did she know that the students in her classes would take on the role of her previous bullies and make her life hell. When she re-meets an old family friend that she hasnt seen in many years, will everything change? Will she let him in? Cyan lives a miserable life always being taunted by her parents and abused verbally and physically. They always find ways to make her feel worthless and try to break her, leading to Cyan only finding comfort in a blade. She hopes to escape her life one way or another. 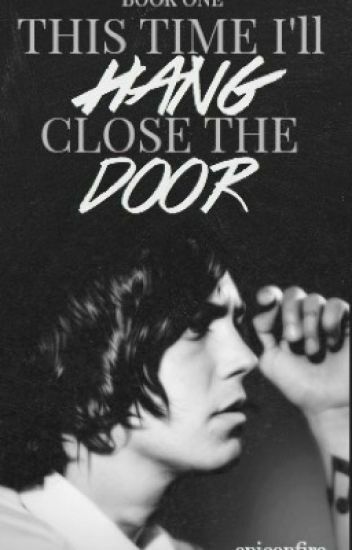 What will happen when Kellin Quinn finds Cyan after a concert, in the middle of self-harm?? Sequel to This Time I'll Hang, Close the Door. Summer Quinn has been through a lot. There's been secrets, lies, changes, and promises. Finally some good events are taking place. But when good things come along, bad things have to balance the world out, right? What happens when the unimaginable happens? When the secrets come out, the lies unfold, the changes are for the worse, and the promises break? Well, that's for Mr. and Mrs. Quinn to find out. _SEQUEL OUT_Iris Angel had too many problems to count. She had abusive parents , she had bullies, too many to count, and too many insecurities. The list added on, but the hardest is when you can't defend yourself. When you can't defend yourself what do you do? So will Kellin defend her? An old friend pops back into Mandy's mundane life and randomly asks her to seduce her boyfriend, Kellin Quinn. At first hesitant, Mandy ultimately figures this one favor won't hurt her. I mean, what's the worst that can happen? Jess, a young girl who has a passion for bands goes to see Sleeping with Sirens with her best friend Oli, which soon turns into a friendship, and even a relationship. After Jess tells Kellin about the life she had, he tries to protect her from the evil that faces her. Will he succeed and be able to save her? Arizona Richardson, a suicidal 15 year old from Columbus, Ohio. She went to Warped Tour in Pittsburgh, PA to meet her favorite bands especially Sleeping With Sirens. Kellin Quinn, a 28 year old that is the lead singer for Sleeping With Sirens. He is on tour for Warped Tour. Arizona and Kellin meet each other for the first time ever. However, something terrible happens to Arizona's family. Who will protect Arizona now? Now, you are 19 years old, about to go to 12th grade into your new school... And it didn't go well as you'd hoped. You were bullied, insulted, and that led you to your depression. You always wore bracelets, long sleeved shirts, and hoodies to cover up your fresh wounds and old scars. What will happen if you were helped out by the person you didn't expect? What will you do if you fell in love with him and found out the truth behind him that will surely break your heart?